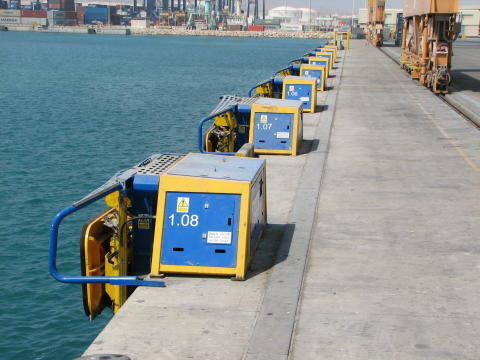 Global engineering group Cavotec has won an order to supply 18 MoorMaster™ automated mooring units for a container handling application at a Mediterranean Sea port, marking yet another landmark project in the company's long-standing history in the maritime engineering industry. 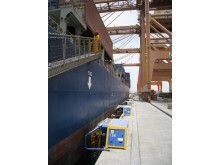 Under the terms of the contract, Cavotec will engineer, manufacture, install and commission 18 MoorMaster™ MM200C units, which will be used on an exposed container berth on the Mediterranean Sea. By reducing mooring times to a matter of seconds, the MoorMaster™ units will deliver higher rates of productivity and utilisation that are not possible with conventional mooring methods. "This project further demonstrates our continued strategic focus on bringing state of the art, innovative technology to the global ports and maritime sector," says Ottonel Popesco, Cavotec CEO. 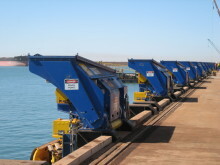 The contract follows a milestone order at a Mediterranean port in 2011 for the supply and installation of 24 MM200C units, which are currently being delivered. 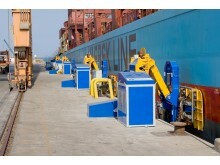 Commenting on the announcement, Juergen Strommer, Managing Director of Cavotec Middle East, said: "This exceptional order highlights the efficiency gains that MoorMaster™ provides to port operators and shipping lines, and is indicative of how the technology is rapidly being adopted across the maritime industry." "In addition to the high degree of safety offered by the system, MoorMaster™ also enables operators to maximise utilisation, and increase efficiency and productivity. 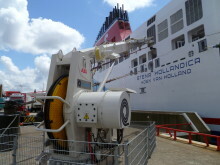 It represents a genuine evolution in mooring operations," he added. 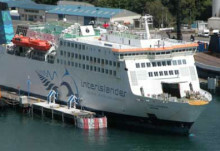 Due to its technological sophistication and multi-faceted benefits, ranging from cost reduction to ecological sustainability, the adoption of Cavotec's MoorMaster™ technology is growing across the maritime industry. 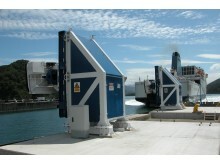 MoorMaster™ now serves ferry, bulk handling, Ro-Ro, container and lock applications worldwide. 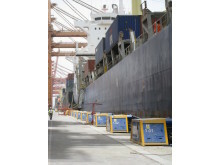 This is the third location involving MM200Cs units at a dedicated container port, following last year's project where Cavotec provided a turnkey solution for 24 MoorMaster™ MM200C units, and an order from the Port of Salalah in Oman for 12 MM200Cs in 2009. 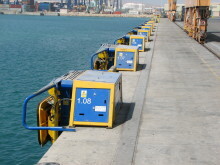 Cavotec supplies a wide variety of innovative technologies to the ports sector, including shore-to-ship Alternative Maritime Power (AMP) systems, Panzerbelt cable protection systems, crane controllers, marine propulsion slip rings, radio remote controls, motorised and spring driven cable reels and steel chains. 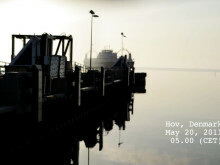 A short film on MoorMaster™ automated mooring at Hov, Denmark and Port Hedland in Australia. A summary of Cavotec’s third quarter report and background materials.